I was born and raised in the Central Valley of California. I earned my bachelor’s degree from San Francisco State University. After graduating, I worked as a retail manager and taught sewing classes for many years before going back to school to earn my teaching credential. In California, I taught English 10 and 12 at my high school alma mater. Recently, I moved to Arizona with my boyfriend who grew up in Gilbert and is returning to practice veterinary medicine with Herd Health Management. Together, with our dogs Angus and Cooper, we enjoy exploring and going on adventures. I also enjoy sewing, reading, and traveling. My favorite thing about teaching is building relationships with students and their families as well as connecting with my community. I am beyond excited to begin the upcoming school year and meet all of my students. This last summer, on June 9, I married my high school sweetheart. Married life is not that much different than when we were dating, but maybe that is because it is still new? 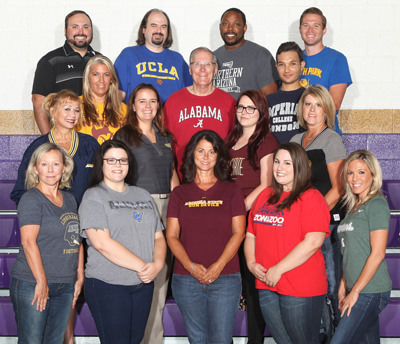 I have been an educator for four years now, though this will be my second year in Queen Creek. 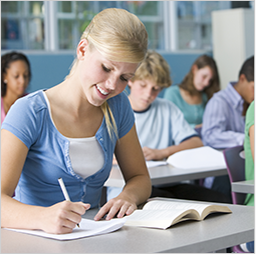 I teach students to read, write, speak, listen and critically think in English. I was trained in AVID and am excited to use this Kool-aide this year. I love to travel. I have visited many places: France, Mexico, road trip around the United States, just to name a few. This past summer my new husband and I went to Orlando, Florida where we proceeded to have the best pizza I have ever tasted at Blazing Tomatoes. I am a foodie! So local hot spots are my favorite! If you know a place, we should talk. Besides eating, we visited the beach, Universal Studios, and Disney World. Word to the wise, Universal was way better than Disney World. I got to use a wand in the Harry Potter world and drenched a poor soul behind me with the Aguamenti spell. We had a blast. Universal goes overboard when it comes shows; they really immerse you in the experience not just try to sell you stuff that will break in a month. Besides teaching, eating, and traveling, I love to fill my free time with board games, reading, recently Pokemon Go (I blame my husband), earning my second masters in admin, and building an association. Someday, I hope to earn my doctorate degree and buy a house with land so I can ride and train horses again. I am excited for this year to start and cannot wait to use some of the awesome strategies I have been learning about in my professional development retreats! I am originally from a very small town in central Illinois and moved to Arizona in 2000. I have been married for almost 29 years. We have two sons who graduated from ASU. They both recently got married so we now have two wonderful daughters-in-law. We have two Jack Russell dogs (Izzy and Jax), and we love traveling to outdoor places with the entire family. I have been in education for almost 18 years and have had the wonderful experience of being both a teacher and an administrator. I am very excited to be joining the Queen Creek High School family and to be teaching 11th grade English and AP Language and Composition. Go Bulldogs! My name is Niki Smith, and I will be teaching English at Queen Creek High School this year. I earned my teaching degree from NAU and have been teaching for 20 years. I love to read! I am also very adventurous. I enjoy hiking, camping, swimming, taking pictures, playing basketball, and traveling. People often say high school sweethearts don’t last, but I beg to differ. I started dating my husband when we were sophomores in high school. We got married a year after graduating and have been happily married for a little over 23 years now. My husband is also a teacher. We have three children ages 21, 19, and 16. Spending time with my family and teaching both make me happy. I’m looking forward to a great year!